Thanks to today’s developed and accessible technology, leather tanning now respects and looks after the environment. Systems for managing and recovering natural resources and the waste produced were implemented in all the production cycle phases, counting also on a methodology that protects the working environment and the health of the workers. 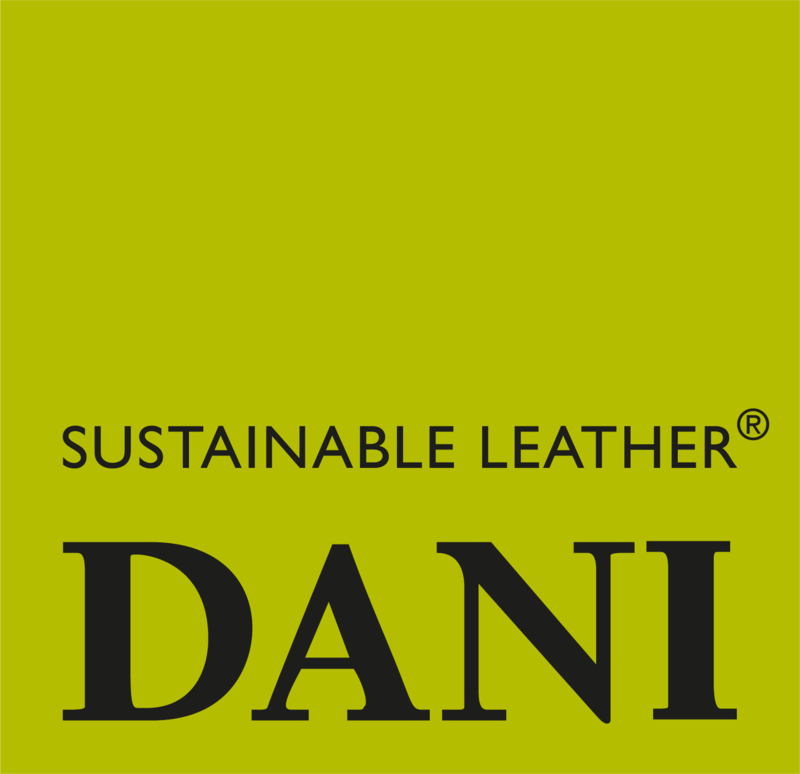 According to Dani, sustainability does not just mean satisfying the legal limits set by the industry; it also means continuing to look for innovative solutions that favour the environment, the people who work for the company and future generations. This is possible thanks to Dani’s collaborations with the whole district, which includes local chemical product companies, those who run the purification services, and all the companies involved in recovering tannery waste. The product is transformed completely in this area, which means that our leather embodies the true spirit of Made in Italy (Leather from Italy Full Cycle). During the ‘riviera’ phase, all the processes that prepare the leather for tanning are carried out: desalting, soaking, unhairing, liming in drums, mechanical scudding, trimming and splitting. Treating the leather in a drum with tanning agents followed by embossing, splitting and shaving. The tanned leather is called “wet blue” or, if tanned without using chrome, “wet white”. The retanning, dyeing and fatliquoring processes follow, which add colour, consistency and softness to the leather. The sammying operation eliminates the excess water. Other drying operations follow (combined according to the characteristics of the article): vacuum drying, air drying and toggle drying. The dried leather is called “leather in crust”. Various operations that make the leather soft and shiny alternate during the finishing phase: pigment spraying, protective resin spraying, wax spraying and staking. The finished leathers are selected one by one, measured, and then destined for different markets, from furnishing to footwear, clothing to leatherware. Before sending the leather to our clients, its organoleptic qualities are checked for the last time and it is tested in a laboratory, as agreed on previously with clients. The irregularities in each piece of leather are located and identified on the basis of a fault catalogues supplied by each client.